WhatsApp is currently rolling out the ability to delete and revoke messages after they've been sent. The function has been in testing as a hidden feature in several earlier versions of the mobile chat app, but is officially going live this week. Going forward, WhatsApp users will be able delete messages from conversations and group chats up to seven minutes after they've tapped the send button, as long as both sender and receiver have updated to the latest version of the app. The new option, called "Delete for everyone" will appear in addition to "Delete for me", and is already showing up for some users when they select a message to trash. 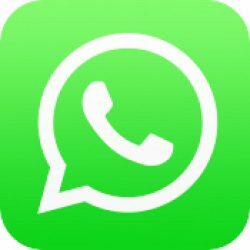 In a published support article, WhatsApp notes that recipients "may see your messages before it's deleted or if deletion was not successful", so the feature isn't guaranteed to work all the time. It's also possible that some users may still see the messages in notifications before they're deleted. Users aren't notified if a delete request fails, but messages that have been successfully deleted for everyone will be replaced with "This message was deleted" in recipients' chat threads. According to WABetaInfo, WhatsApp is currently testing group voice calls internally, so it's likely this feature will also turn up in a forthcoming update. Somebody give me an example of when this would be useful...?!? 5 minutes after you've sent a picture of your womanly parts and are wondering if it was such a crash hot idea. Flaws in the feature, and it should not work like that.. The whole point of deleting is that the other person shouldn't know we deleted... so if it's states "message has been deleted" that's wrong... also, we should not be allowed to delete if the other person has seen the message, it'll create a lot of problems going further between the 2, because the other person will say," it's my chat records, who are you to delete the messages without my permission, even if it's your own"
Whatsapp should also notify, that delete request was failed. Used this feature in Telegram for a while when communicating via audio with my handicap friend and they accidentally hit send after starting a message and were not finished. They just delete the audio and try again whether or not I've listened to it. Not aware of any time limit through. Yeah no joke. Most of my friends gave up Whatsapp/Kik for Telegram a long time ago. Clearly what we need is a tool for cyberbullies to wipe their trail after they've sent offending messages. 'WhatsApp' is still a dumb name.